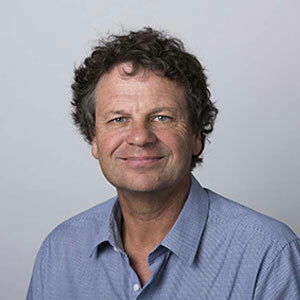 Simon McKeon is the Chancellor of Monash University and was also the 2011 Australian of the Year. He has been with the Macquarie Group in a variety of senior roles for more than 30 years, including as Executive Chairman (Melbourne office). He is presently retained as a consultant. Simon is a member of the Advisory Boards of The Big Issue, Blackmagic Design and GFG Alliance Australia, owner of Liberty OneSteel. He is inaugural President of the banking industry’s Review Panel for the Banking and Finance Oath and is also an Australia Day Ambassador for the Victorian Government. He is a Director (as well as the Senior Independent Director) of Spotless Group, previously served as Chairman of AMP and CSIRO and was Founding President of the Federal Government’s Australian Takeovers Panel, as well as its Point Nepean Community Trust. Simon is also Chairman of South East Melbourne, an alliance of seven Councils and Shires representing more than 1 million residents and 25% of Victoria’s GDP. He served as Founding Chairman of MS Research Australia and Business for Millennium Development. He is also a member of the Advisory Panel to the Australian Republic Movement and was also Chairman of the Federal Government’s Panel which in 2013 completed a Strategic Review of Health and Medical Research. Simon is the Co-Founder, Chairman and a proprietor of the Arthurs Seat Eagle which was named as Victoria’s Best New Tourism Business in 2017 and won the Bronze medal at the Australian Tourism Awards. Simon is the helmsman of Macquarie Innovation which in March 2009 became the first sailboat in the world to sustain more than 50 knots and in so doing, peaked at a speed of 100 kmh (54 knots). He is also a Founding Patron of the Australian Olympic Sailing Team which was the leading sailing nation at both the 2012 London and 2016 Rio De Janeiro Olympics and ParaOlympics.